As the farmer's markets wind down for the season, I've been turning once again to cookbooks for inspiration in the kitchen. I don't know about you, but in the summer, I tend to cook simple dishes based on whatever is fresh from the local growers. With the return to grocery store shopping comes cooler temperatures, and I'm far less reliant on season products. That's when new cookbooks, magazines, and websites offer bountiful ideas. 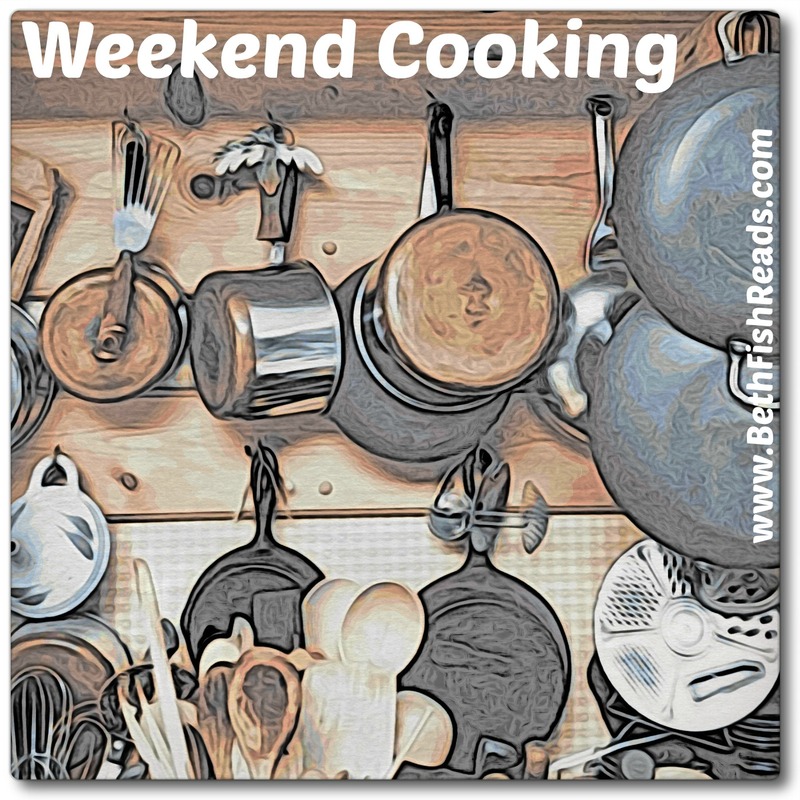 Today I have two short reviews of cookbooks written by long-time food writers. They're geared to very different audiences, and each has pluses and minuses. 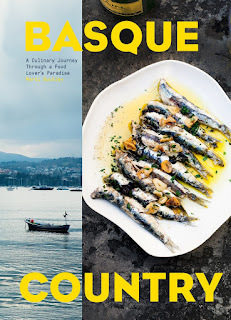 Basque Country: A Culinary Journey through a Food Lover's Paradise by Marti Buckley (Artisan; September 11): Marti Buckley writes about food and travel for a variety of venues, including her blog, Blank Palate. Her cookbook, Basque Country, sums up her love of the food, land, and people of this area in northern Spain. Buckley provides not only beautiful photographs of food (see the scan above) but informative and interesting descriptions of each subregion. 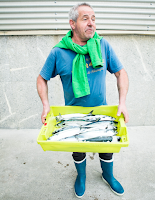 We meet the farmers and fisherman, learn about festivals, visit a cider house, and gain a historical perspective. The recipes are well written and easy to follow for the home cook, and most are accompanied by a photo of the finished dish. The recipes reflect what regular people really eat, as opposed to what may be served in upscale restaurants. I liked the sound of the chorizo potato stew, but when I cooked it, I added more fresh produce (green beans and tomatoes); it was delicious and easy. The book contains a number of vegetarian recipes and fish dishes as well as meats, sweets, and drinks. Now here's the less glowing part: some of the recipes seem way too simple to take up a couple pages in a regional cookbook. For example, there is a dried bean recipe that simply tells the cook to simmer the beans in water for a couple of hours; another gives step-step-by instructions for boiling chorizo in beer. Yes, there are regional serving suggestions, but I don't need a Basque cookbook for these recipes. Other dishes require fresh seafood (turbot, eel, squid), which is hard to find in my land-locked town. Finally, for some reason (my mood?, the fact that I just came home from vacation? ), I was not bowled over by any of the recipes and didn't flag any for my must-try list. Your reactions, of course, may be different. 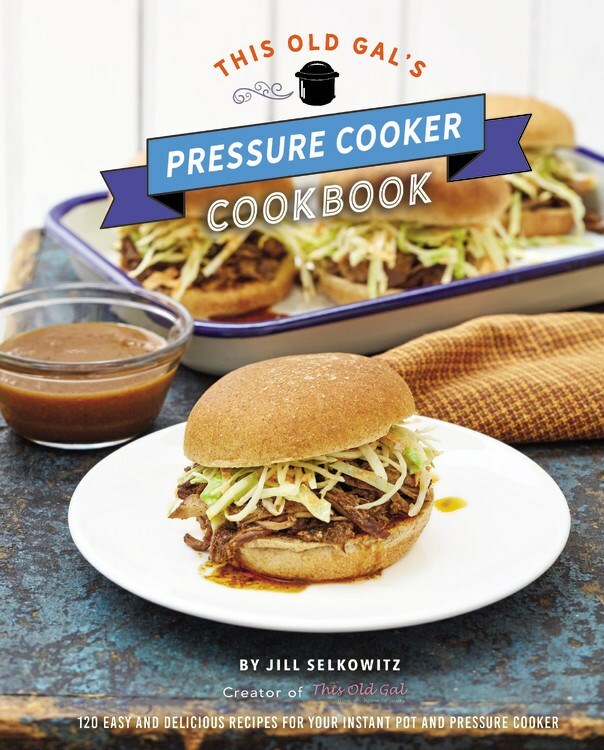 This Old Gal's Pressure Cooker Cookbook: 120 Easy and Delicious Recipes for Your Instant Pot and Pressure Cooker by Jill Selkowitz (Race Point, September 25): If you own an electric pressure cooker, you've probably heard of Selkowitz and her blog, This Old Gal. 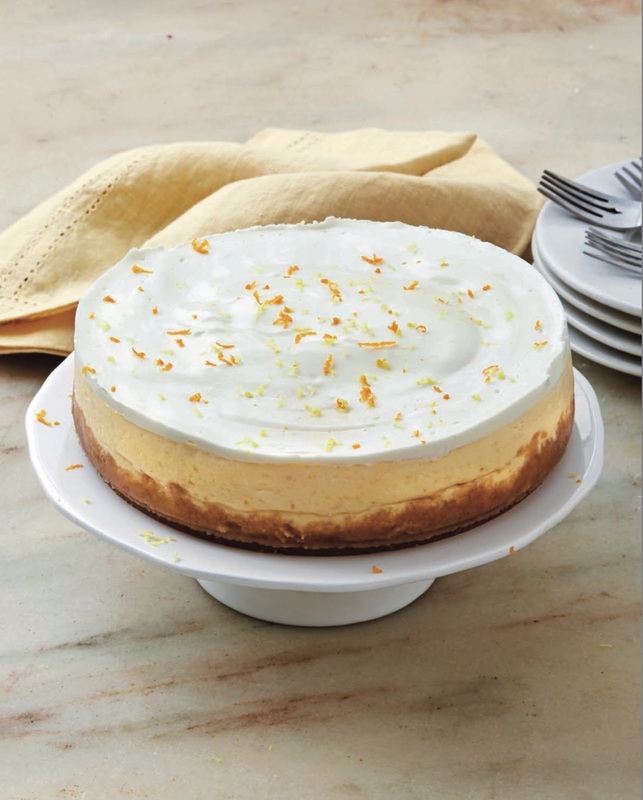 The online Instant Pot crowd loves her cheesecake recipes and rely on her recipes for everyday family dinners. I couldn't wait to see a copy of this cookbook, hoping to pick up some tried-and-true tips and tricks. In that regard, Selkowitz doesn't disappoint. Even seasoned pros will benefit from reading the sections on tools, accessories, and techniques, but for newbies, the early chapters of the cookbook are a gold mine of information they will turn to again and again. The recipes include Internet favorites as well as plenty of new dishes. The directions are clear, the ingredients are easy to find, and Selkowitz includes ample tips and variations to guarantee success. You'll find a few breakfast dishes, but dinner and dessert make up the heart of the cookbook. The flavors are extremely family friendly (Polynesian chicken, sweet potato casserole, sloppy Joes), and the dishes require very little fussing. Oddly enough, one of the weakness of This Old Gal's Pressure Cooker Cookbook is also one of its strengths. Many of the recipes seem too basic and Americanized for my tastes, but for a lot of families these are just the kind of dishes that satisfy the pickiest of eaters and will be a godsend for weeknight dining. That said, I love having a copy of Selkowitz's New York cheesecake recipe (see photo), and I'm dying to try the rum raisin rice pudding. I have an excellent short rib recipe, but hers looks pretty awesome and is done in so much less time and without heating up the kitchen. It's good that there are cookbooks for people for specific appliances. It's so helpful when you first get them! I was just talking to someone about pressure cookers the other day. I need to check that cookbook out. Thinking of your pressure cooker book -- I can picture the one my mother used, which came with her stovetop model in the 1950s. Her book definitely suggested recipes for the American picky eater crowd. 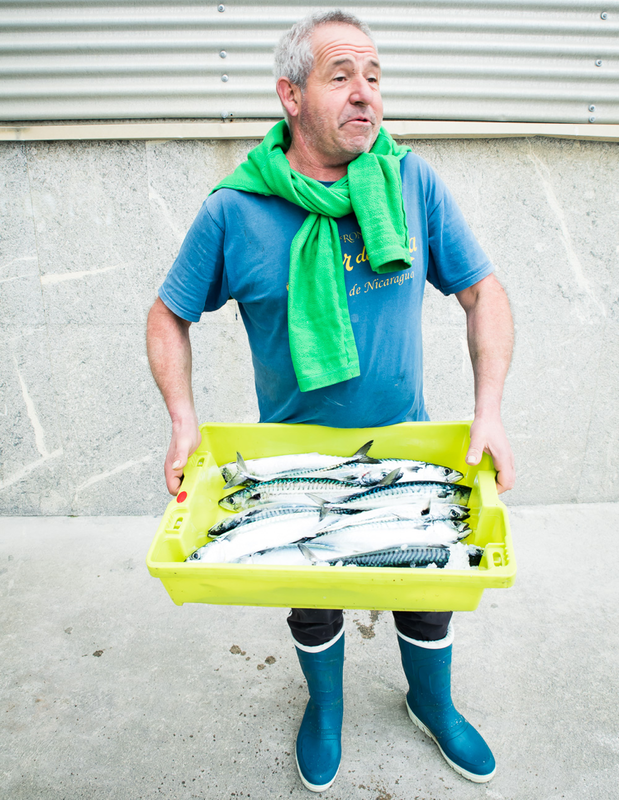 Sad about the Basque cookbook as the French very highly value the cuisine originating in the Basque part of France, and it's not at all simple and dim the way you suggested. 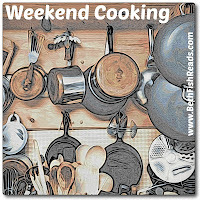 Thanks for hosting Weekend Cooking! The Basque book doesn't entice me based on your review. I do tend to get cookbooks from the library, lately in hard copy, as they are very difficult to look at on an e-reader, plus then I can copy recipes! Pressure cookers have come a long way. Although the one I grew up with in the 1960's terrified me, my new Instant Pot is my favorite appliance. Thanks for the reviews and thanks for hosting. These both sound good. I definitely think there is a need for cookbooks that use a specific appliance. 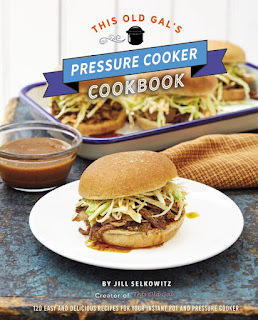 Love my Instant Pot and have been waiting for Jill's cookbook to come out. 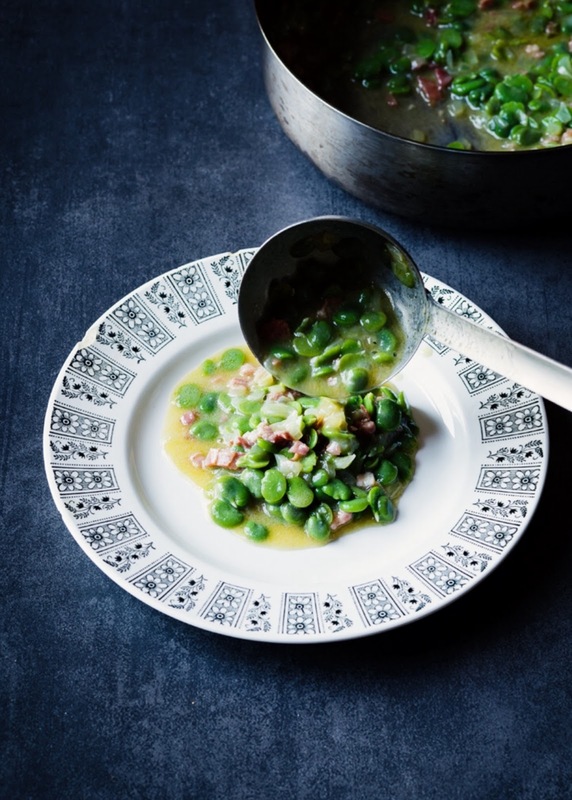 Also, I'm like you -- most of our summer dishes are just thrown-together based on what we have, but at this time of year my cookbooks seem to pull me back into the kitchen even more. A few years back I was lookign for a cookbook for my slow cooker, but as a veggie, it had to be vegetarian - I did find one and it has been useful, so agree that some appliances in the kitchen should come with recipe books. Otherwise they get pushed to the back in kitchen cupboards. Thanks for hosting. I’ve been eating a lot of slow cooker food lately. I should probably look for a cookbook just for slow cooker recipes.